Patternbank is an exceptionally great resource with over 20 years in the print, graphics and fashion industry. Their global research brings you essential inspiration ideas for graphics, prints and patterns, making Patternbank a valuable resource and intelligence tool for any business, designer or buyer. To stay informed of their reports, sign up for the Patternbank Weekly Digest here. 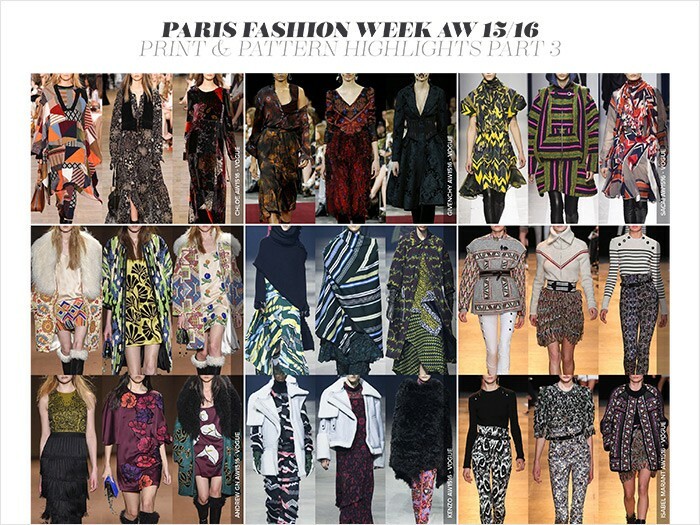 Below is a preview of their Fall/Winter 2015-16 - Catwalk Print and Pattern Trend Report from the Fashion Shows held in New York, London, Milan and Paris. You can view their entire report here. You can also view and order many of their other reports here. 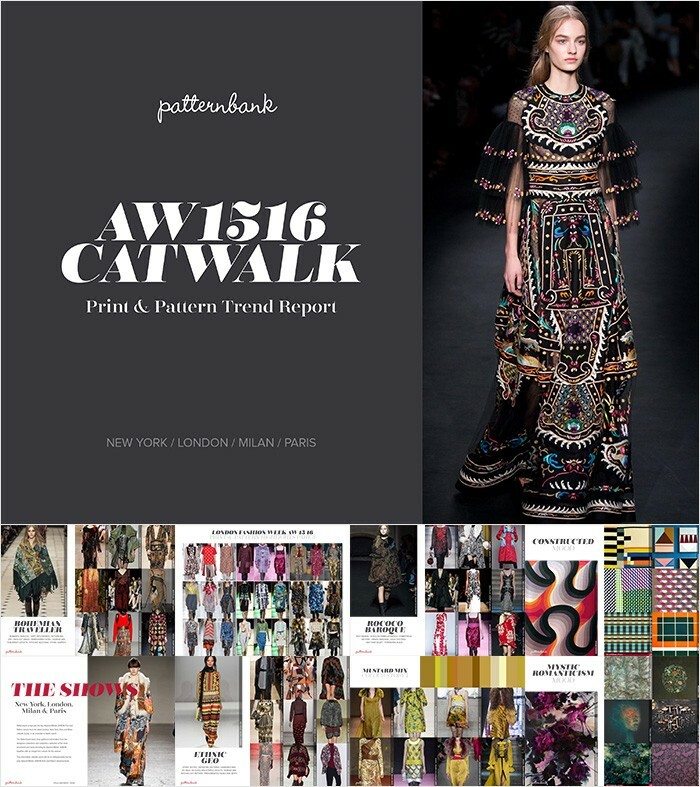 Patternbank brings you the key Autumn/Winter 2015/16 Print and Pattern trends from the latest London, New York, Paris and Milan catwalk and runway shows, in an essential in-depth report. 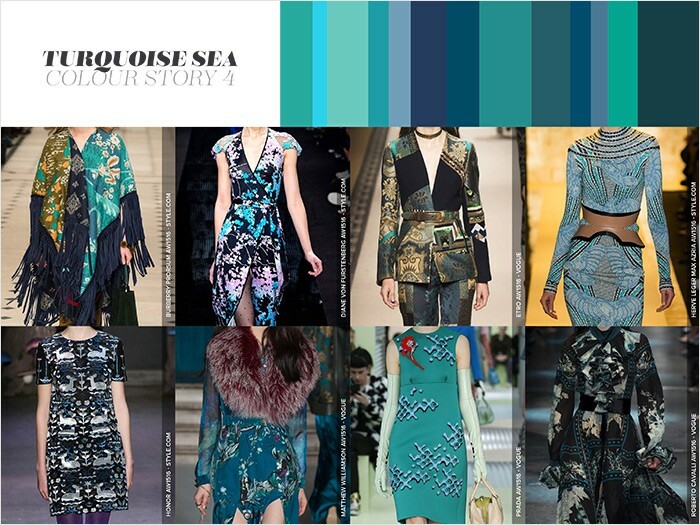 The team have gathered information from the designers collections and compiled a selection of the most prominent print looks trending for Autumn/Winter 2015/16 together with an insight into colours for the season. 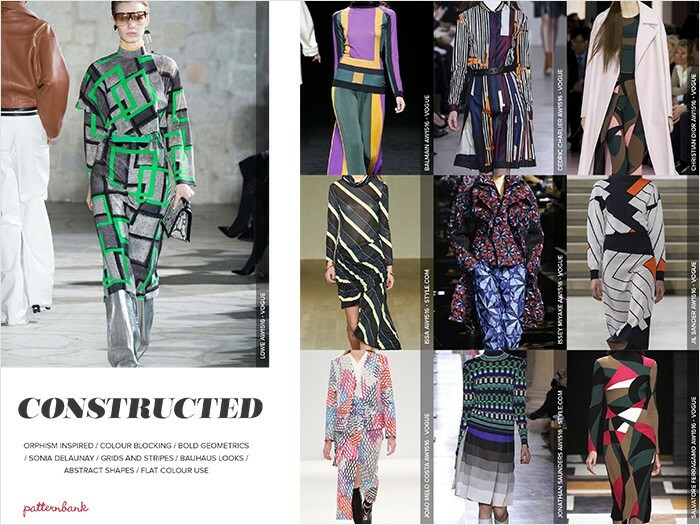 This informative catwalk report will be an indispensable tool for your Autumn/Winter 2015/16 Print and Pattern developments. 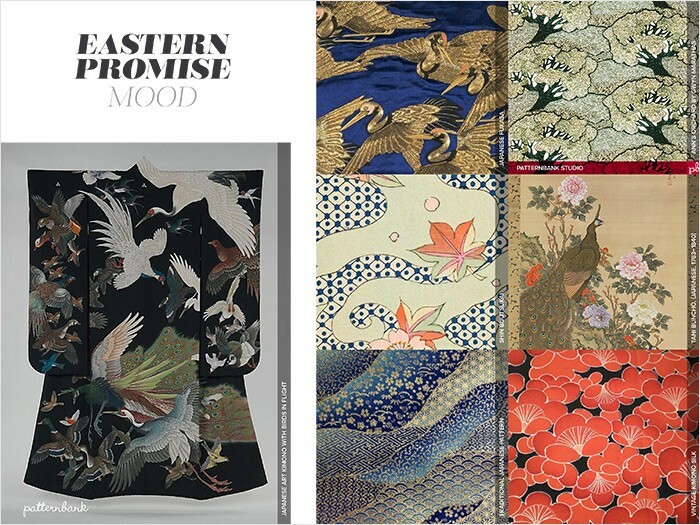 Whether you are a small print studio, independent freelance designer, manufacturer or clothing line, this extensive report will give you a real insight into the most important print trends for Autumn/Winter 2015/16. This PDF report will be your essential seasonal aid for your new print developments and colour direction.